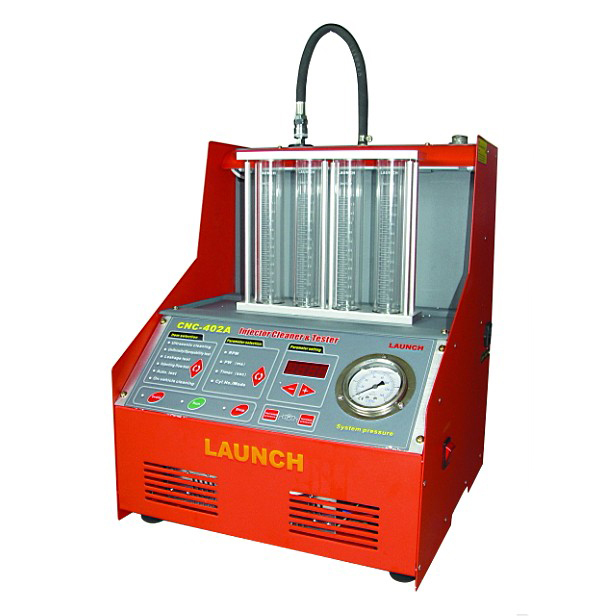 CNC-402A is an advanced electromechanical product, which can clean and test Auto engine injectors by simulating engine working conditions. It can also perform cleaning on the injectors and fuel supply system on vehicle. * Ultrasonic cleaning: To perform simultaneous cleaning on several injectors, to remove the carbon deposits on the injector completely. * Uniformity/Sprayability test: To test the uniformity of injecting amount of each injector, and to monitor the spraying status of each injector with the lighting of backlight. This test is also for reverse flush. * n-vehicle cleaning: The unit is equipped with various adaptors and couplers that facilitate cleaning on the injectors on vehicle. * No naked flame within 2m. * Power supply: AC220V 10%, 50/60Hz;AC110V 10%, 50/60Hz.